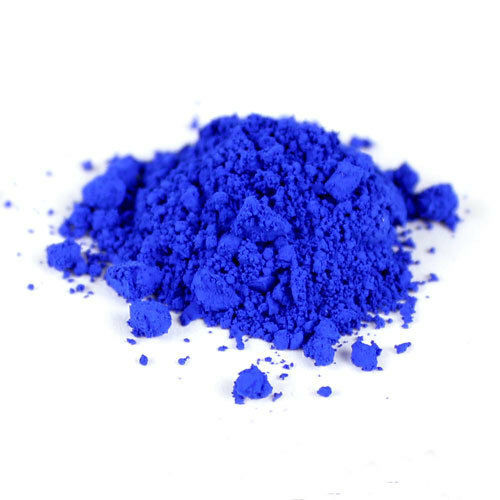 Synthetic inorganic, Ultramarine blue pigments are blue pigments of sodium aluminosilicate which contains sulphur. These are prepared by heating sodium carbonate, kaolin, sulphur and other economical ingredients together. Alkali and heat resistant, this is widely used for optical whiteness in inks, paints, cosmetics, plastics, cement, rubber, detergents, textile and paper. Perfect for brightening the white cotton cloth after washing and providing blue color, these pigments are used in the plastic and rubber industries. Further, it acts as a brightening mediator in white washing and is the only pigment that does not lighten under sunlight or heat (UPTO 350 DEGREES).